Make sure you have user-theme-extension installed. 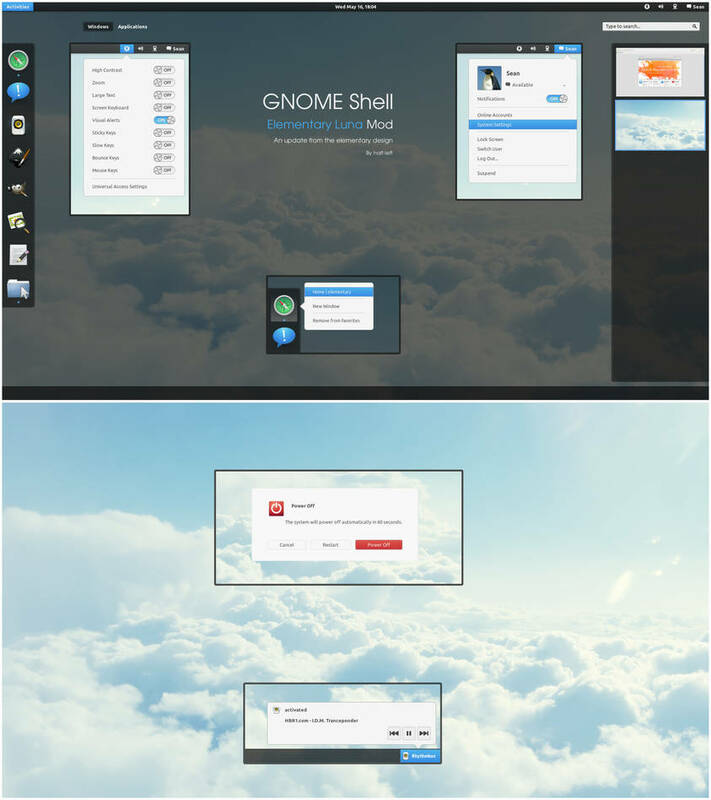 Load the GNOME Tweak Tool and go to Shell Extensions and click the "Use Theme Extension" switch. Now go to "Theme" and click the Shell Theme box and locate your theme zip. Now you can select the theme in the dropdown box. - Added better window close button. 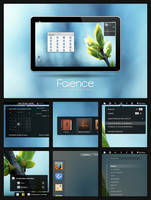 - Improved selection on menus. - Removed shadow on message tray(might help improve responsiveness on some lower end systems). 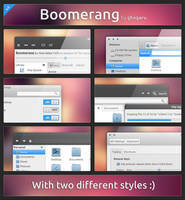 - Shutdown dialogue, modal windows, app switcher, workspace switcher are white. - Smaller font size for overview contacts. 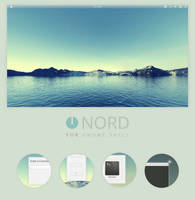 - Added new white button design from elementary. - Added red button design for active button shutdown. I hate when people release a theme for software that is on a rolling release schedule. 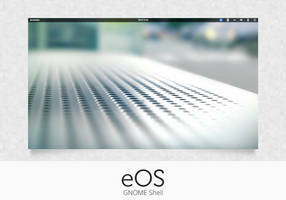 Gnome shell is updated every 6 or so months and developers and designers who make themes and extensions should keep up with it. You do know its open source. You can take his code and keep it moving. I hate when people complain instead of doing something about it. -1 for being lazy and thinking the world revolves around you and your current version of Gnome. 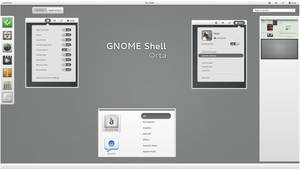 GNOME don't support us, it one of the reasons why I don't use GNOME any more ,they even break extensions every release. It's up to extension developers and designers to keep up with upstream packages. The changes are never significant and it's not hard to keep on track with it. 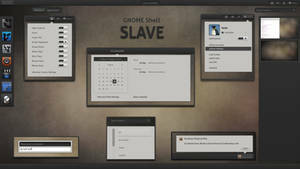 I don't care why you aren't using Gnome I'm saying you've released a theme for Gnome and you haven't stated in the description that there are no plans for further development and this is the final version of this theme. It's not up to Gnome to support each and every developer and designer, it's up to you who have decided to take time out of your life to create something for the software to keep up with Gnome. 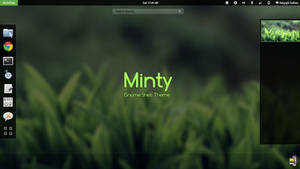 They're just themes, GNOME doesn't even support themes nor do they support anyone who does them. I don't see a flood of people updating the themes for me or taking them on. 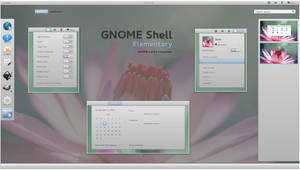 @half-left I understand your frustration with Gnome's lack of support. You made an awesome theme and it's sad when people get upset and expect you to carry on developing for them out of your own free time. This is not your job and we are not paying you to offer us this. On a lighter note, I'm finalizing a theme that's very dark and would like to make my next one light. If it's ok with you, I'd like to clone yours? With credit of course. No problem, it's GPL, do what you like and it's nice to get a credit note. 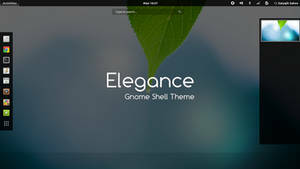 I haven't used Gnome Shell for a long time but I want to try this theme and I can't because when I load up Gnome Tweak Tool is says I don't have user theme extension installed even though I've tried to install it so many times!! 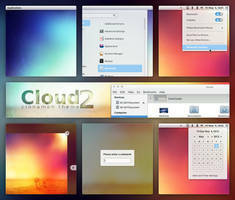 How do I do it on Ubuntu 12.04? Might want to try logging out and back in again. 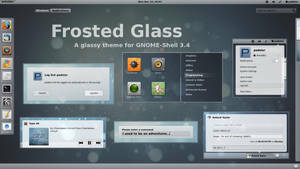 I can't load Gnome Tweak Tool so there's no way to load your theme. You'd have to enable it manually in the dconf then. I cannot fix your issue with that. Thanks. Try and fit it somewhere. You're creating a monster theme here,Great! I loved the colors and clean design. Nicely combined into theme. it doesn't work in 12.04. 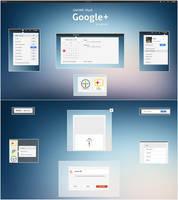 The applications view bug with 3.2 themes in 3.4 is present. its wonderful. 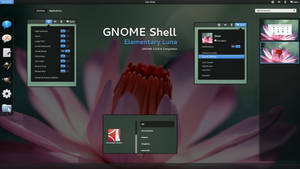 one of the best luna theme for gnome. is the font is Droid Sans? i've installed that on my system & also did a Alt+F2 then 'r' but the panel font is the default, am i doing something wrong here? The font is blurred because it's vector not an actual font. If I don't make it into and object then the font will be required by the user. btw, an update... i'm running Ubuntu 12.04 & the Ubuntu font is installed by default. 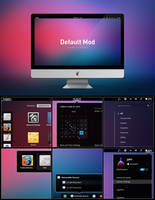 U mentioned in one of the comments saying the font is Ubuntu. So i fail to understand why my panel font's haven't changed to either Ubuntu or Droid after restarting shell then a full reboot. Any ideas bro? Ubuntu font is in the line, if you want you own you will have to add it into the font line at the top. 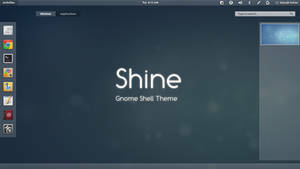 Try and put "ubuntu" last in the line at the top of the gnome-shell.css . 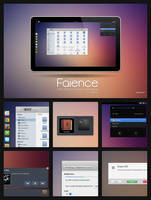 Sometimes I wish I was on linux..
well.. I dont want to transform to linux cause of avaibility of my software of choise..
Dual boot or separate drive if you just want to play with it is easy enough. Its not. My system is pretty much old, and separating it would result in much worse result. Maybe in future if I will have option, I may dig into it. 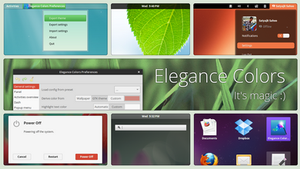 Are you using Ubuntu 12.04? I still don't understand, everything looks fine now (using gnome 3.4.1) and everything just looks fine except for that effect i told you, when i go to activities, the effect just looks fine, but when i go back it's not smoothy, like if it'd find it hard to go back :S Another suggestion, could you change the close button in windows overview to match the black circle with the white cross from elementary os? Not using Ubuntu no. Yes close button should matching, not sure why I used the one from the other version. Thank you for this beautiful and elegant theme. It looks perfect! 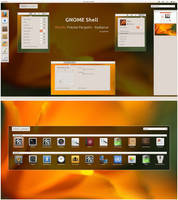 I don't use Gnome shell and haven't used it yet. 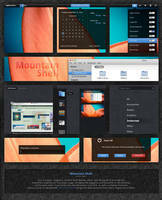 But just because this theme I will give it a try. Looks wonderful. Thanks Takes some getting used to but you might like it. Do you have weird and slow effects with this theme?? i don't understand, i actually am experimenting slow effects :S and i'm sure i'm using the 3.4 version under ubuntu 12.04 fresh install. 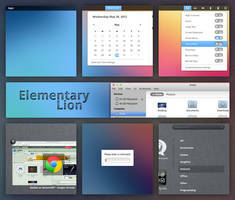 Another question, are you also using elementary gtk 3 theme? Strange, it could be the shadows on the panel and notification bar, that's all I can think of. 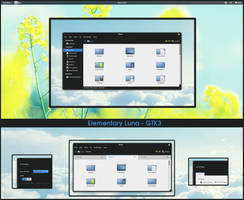 I'm not using elementary GTK3 theme no. Other than that there is nothing I can do about it.